Chunky, Funky and Delicious – once you learn how to make one you will have trouble stopping!! 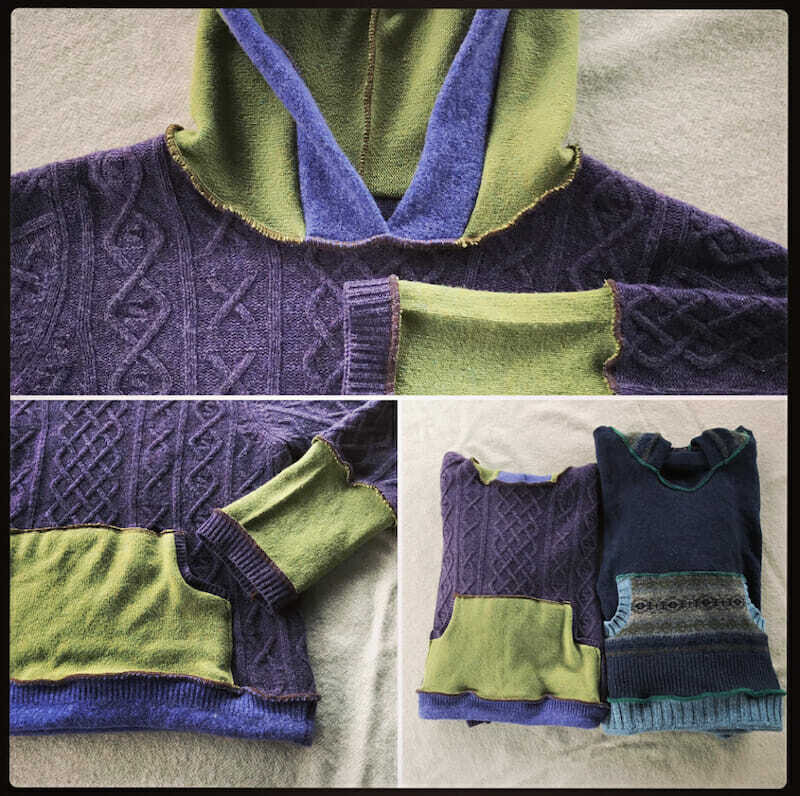 In this Class you will learn garment reconstruction. 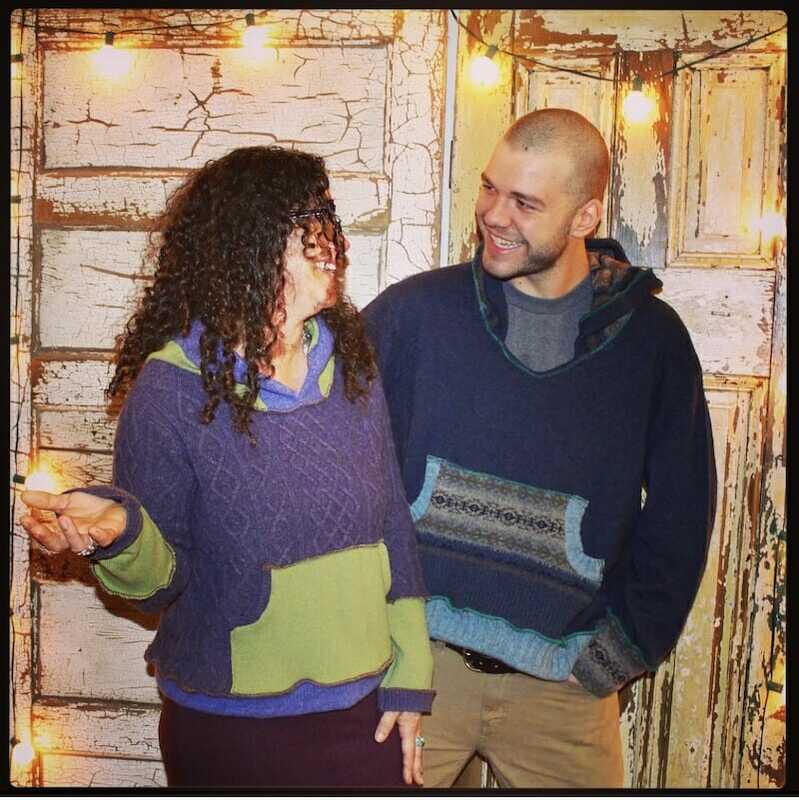 We will cut up old sweaters and create a super cute and cozy up-cycled sweater. We will play with embellishment techniques and explore the do’s and don’ts of materials and techniques. 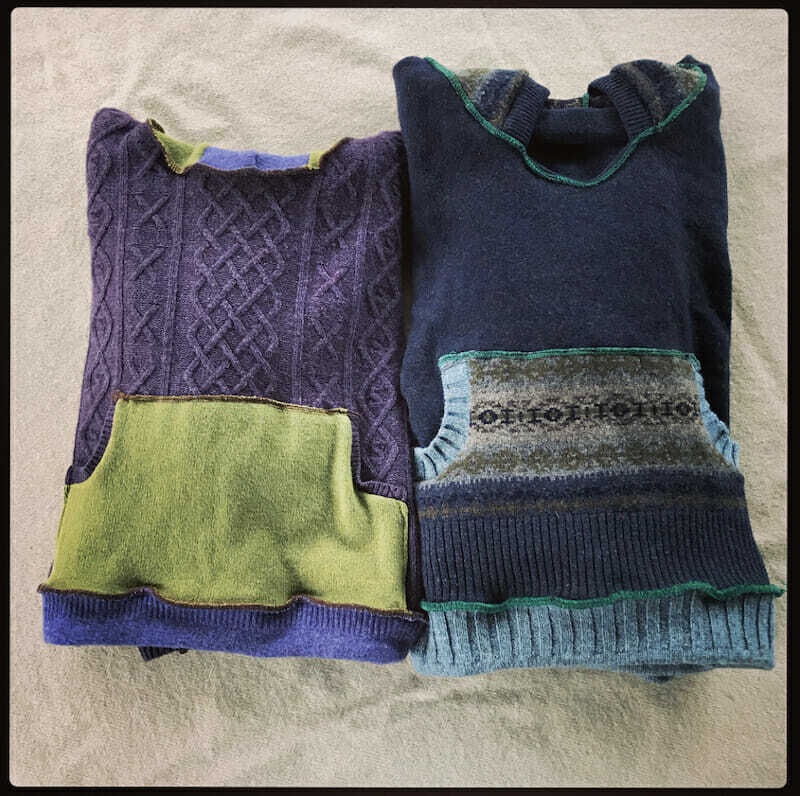 Because no two sweaters are alike, the images we share at just examples of possibilities. Visit Ragged Thistle for even more inspiration. Supplies: Please bring sharp fabric scissors. If you have a strong serger and an old work-horse straight stitch please bring it along.